by V.6 Program start under "Upgrade". Hi Peter, thank you very much for the quick response. I downloaded the DAP version 6 PRO on a new laptop and installed it earlier, does Version 5 need to be installed to do the upgrade? I do not see any Upgrade option, so thinking maybe that could be the reason. Either that or I am not understanding correctly and not looking in the right place. Thanks for the heads up, Peter! Downloaded and installed fine and I upgraded directly from the opening screen. I already had versions 4 and 5 installed. Happy to report that my issues with the full PSD layers export seem to be resolved. Unfortunately, there are still some issues with the layers themselves. The "Layer: Painted Image" is not correct, and the "Layer: Dry Reveal" is also not correct -- especially if the dry reveal method chosen is "Reactor Fine" and one of the Reactor vfboxes is chosen. Last edited by mhwarner on Mon Oct 22, 2018 11:43 pm, edited 1 time in total. Do you know if old aop that were working with DAP4 are still ok with version 6? Because it is impossible to make them working with the trial version. Thanks for your answers. Got it! Thanks, Peter. I will give this a try. Again, very much appreciate your help and quick replies! All the best! I am guessing you can just go to ~/Documents/DAP/objectpacks and delete it manually. Even in version 5 that's how I did it. I made and deleted my own directories and it always worked fine. 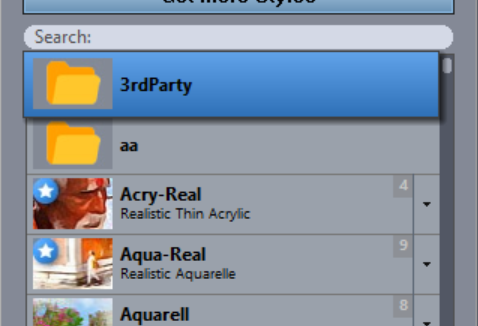 Has anyone figured out how to get the inpaint and other plugins that are featured in DAP 6 to work? Mine are always grayed out. Have you DAP6 -Pro or- Home Version?